Each “Magna-Pal” is hand crafted from polymer clay which is durable and lightweight. 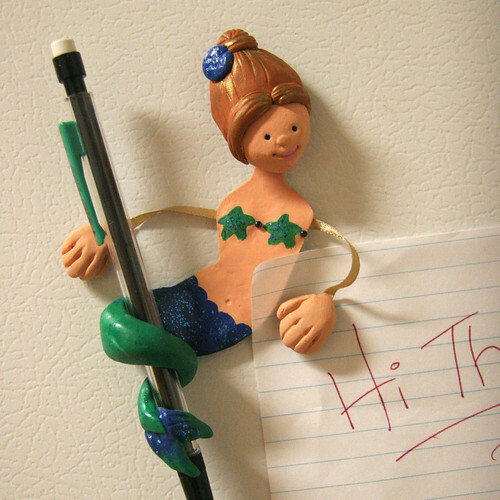 The tail is made of special “bendable” clay and will not snap when you remove the pen or pencil! They also with a mechanical pencil in a coordinated gift box.